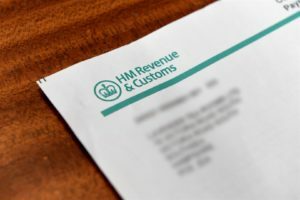 HM Revenue and Customs has launched new and innovative technology to help more than three million customers renew their tax credits by July 31st. HMRC has developed a customer-focused service through Amazon Alexa specifically for those seeking help with their tax credits renewals. Tax credits help working families with targeted support, and more than 65,000 customers this year have already used the app to renew their tax credits, compared to 38,411 customers in 2017. All online customers can now log into GOV.UK to check the progress of their renewal so they can be reassured it’s being worked on and know when they’ll hear back from HMRC. Online help and information on renewing tax credits is available on GOV.UK and via HMRC’s customer service Twitter feed @HMRCcustomers. Support is also available on the tax credits helpline (0345 300 3900). The deadline for people to renew their tax credits is 31 July 2018. Failure to renew before the deadline will mean payments are stopped and customers may have to repay the money they have received since April. If a customer requests further information through an SMS, the mobile phone number is stored for 6 hours and then automatically deleted.